I think Porcelain would be the perfect winter shade for you. I’m personally a fan of the oil free version, it offers a little extra coverage. I have been tempted by this for years, but worried a bit about the price. I might give it a go after reading this! On ‘good skin’ days I tend to use Dr Jart’s Water fuse balm over a serum, and pop a little powder over it, but it only comes in one shade which is a little dark for me in winter. After procrastinating over this for months, mainly due to the price, my best friend bought it for me for Christmas and I love, love, love it. I tend to wear tinted moisturiser and concealer rather than foundation as I am at a certain age now where anything heavier tends to accentuate my wrinkles. 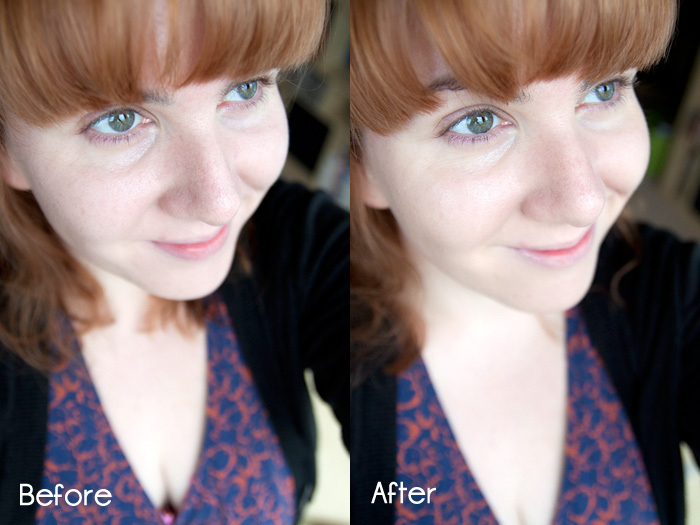 I find this gives me just the right amount of coverage withouth having to use too much concealer, but not too much that it settles in aforementioned wrinkles. I also like the fact that it is SPF20 as I have fair skin and wear protection all year round so this is perfect for winter protection, although I may need to look for something with a higher factor for the summer. As I haven’t been using it long the tube should last me for some time and then I will need to decide whether I still love it enought to buy another tube but so far so brilliant! This is one of my favorite base products, particularly under a light dusting of mineral powder. I remember reading at one point that certain shades don’t include the amount of SPF they’re supposed to, but LM said they were reformulating, so hopefully they’ve done that by now. I have very acne prone skin but I use the regular, not oil free… it’s funny but the oil free version has more ingredients that cause me to break out. 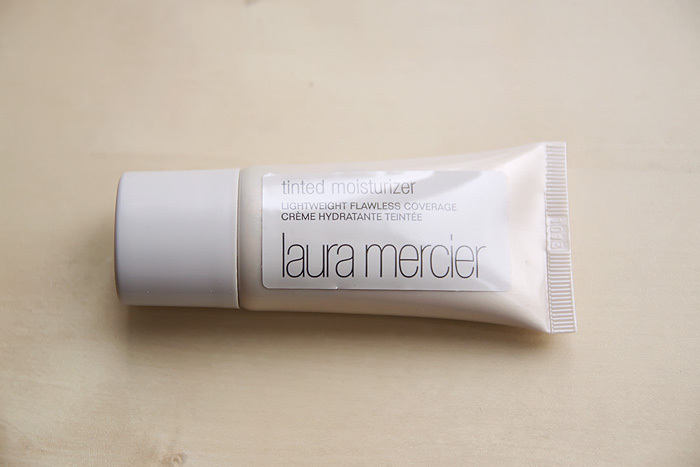 I’ve never tried a Laura Mercier TM, I’ve thought about it but never came around to purchasing one. I keep meaning to try it, but always hesitate for the reasons you mention – they seem to run warm. I can usually get away with neutral, but a touch too much yellow and it goes to hell on my skin. Maybe I’ll give it a shot in the summer after the current brand I’m using runs out. I bought this from HoF after having it applied without seeing how it looked once it had oxidised on my face. Got home and my face was orange. It went right back. Shame really though, as it gave me the kind of face I’d always wanted.. I have used the LM tinted moisturizer and I especially love it with the TM primer in Bare Radiance underneath for an amazing glow. I actually like it more than the Nars TM which left me orangey. 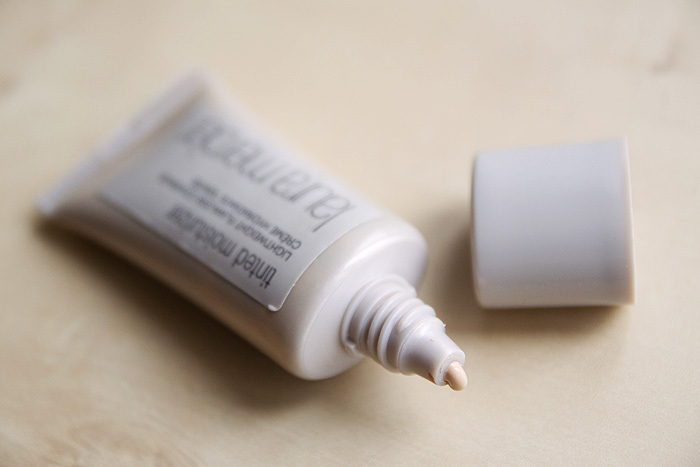 Love Mercier products. I’ve tried this one and loved it.